The Acting Fire and Emergency Services Commissioner along with members of the Tonga Fire and Emergency Services accompanied the funeral procession of the late Fire and Emergency Services Commissioner – Lofia ‘i Vailahi Heimuli. The body arrived from Australia at the Fua’amotu International Airport yesterday evening and was then escorted by family, friends, and colleagues, to Heimulis residence in Hoi. Lofia ‘i Vailahi Heimuli was a long-serving member of the Ministry of Police and the Fire and Emergency Services beginning from 1974 when he first entered at the age of 18. 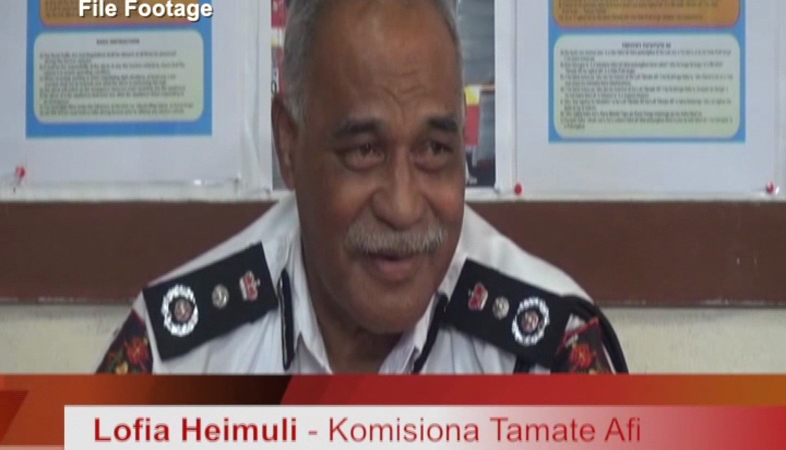 Heimuli had progressed in his career and was appointed Fire and Emergency Services Commissioner in 2011, a post he still held when he passed away on the 27th of December 2018. The wake was held on Friday night at Heimulis residence followed by the funeral service on Saturday morning at 10 at the Hoi FWC before Heimuli was laid to rest at the Hoi Cemetery. Heimuli is survived by his widow and 6 children.